The current Old Spitalfields Market has been on the site for 350 years. It is situated in the London Borough of Tower Hamlets, just outside the City of London. The closest London Underground and mainline railway station is Liverpool Street. In 1638 King Charles gave a licence for flesh, fowl and roots to be sold on Spittle Fields, which was then a rural area on the eastern outskirts of London. The rights to a market had seemingly lapsed during the time of the Commonwealth. And the market was re-founded in 1682 by King Charles II in order to feed the burgeoning population of a new suburb of London. The existing buildings were built in 1887 to service a wholesale market, owned by the City of London Corporation. Being at the centre of a revival in the area, the eastern end of Spitalfields retained its old charm in Horner Square and Horner Buildings, which are Grade II listed buildings. These market buildings were designed by George Sherrin and built between 1885 and 1893. 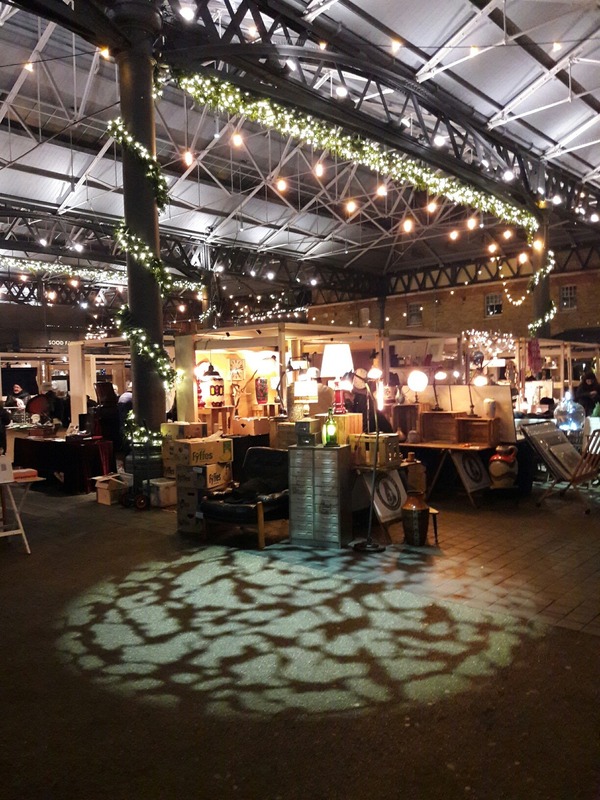 The original Victorian buildings and the market hall and roof have been restored and Spitalfields is now one of London’s major markets. The market square is a popular fashion, arts and crafts, food and general market, open seven days a week, but is particularly busy at weekends. The Christmas lighting have been switched on and the market looks amazing this winter. Come and visit this historical neighbourhood during this festive time and warm up at Crepeaffaire with a luxury hot chocolate and a crepe!